Ride all year around. 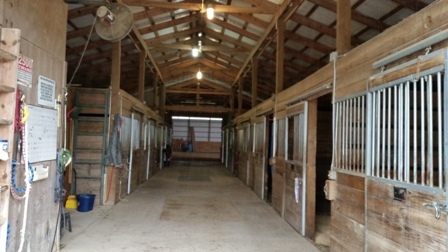 Prepare for the show season in a bright beautiful mirrored indoor arena. 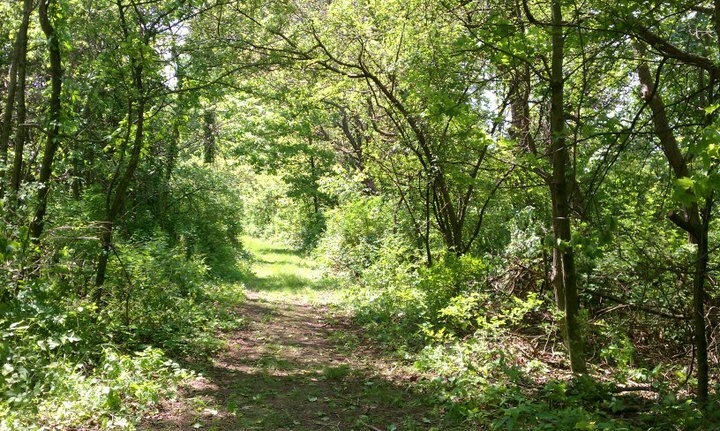 Come and enjoy the quiet atmosphere and scenic view. Close and convenient to I-70 and the Newark, Granville, Heath and Thornville area. 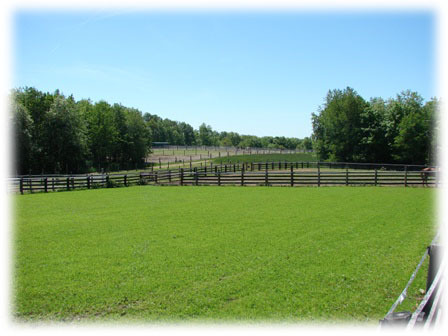 Magic Meadow Stable offers full and partial board, using quality horse feed, alfalfa and grass hay. 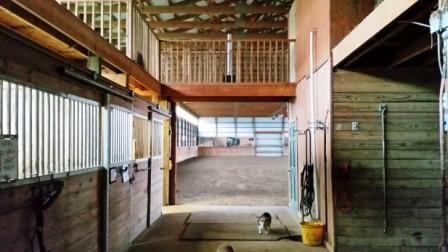 We offer daily turn out, weather permitting, private trails, lighted outdoor arena, 130x60 mirrored indoor arena, 66 ft covered round pen, 2 wash bay areas, and a 4 horse walker. 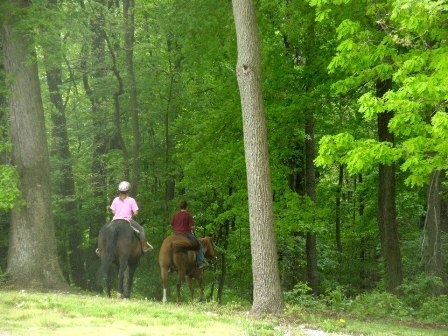 The farm is located on 35+ Picturesque acres with many trails. 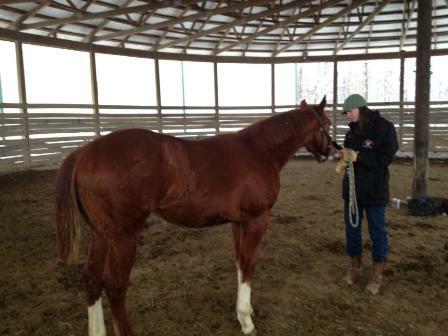 We use ProStride Arena footing with sand. Our arena is set up as a all purpose mixture. ProStride® Arena Footing; Protection for your horse. ProStride® is a crumb-rubber footing formulated to exacting specifications, designed to mix with sand. Several more recycling processes results in a cleaner, more consistent material. No dust, no metal, no fibers. 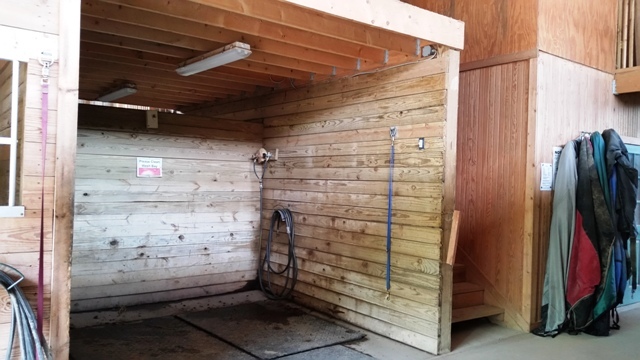 Your riding surface is greatly improved, minimizing leg concussion and protecting your horse's tendons and joints. Help prevent injury and improve your horse's performance with ProStride® Arena Footing! The finest in equestrian footing. We offer daily turn-out weather permitting. 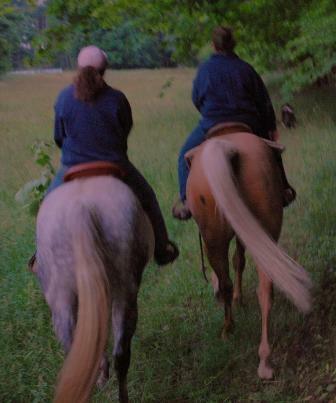 Horses are turned out in the AM and are out to dusk weather permitting. Overnight turnout is available during the summer and weather permitting. When fields and paddocks are low on grass, hay is provided free choice. 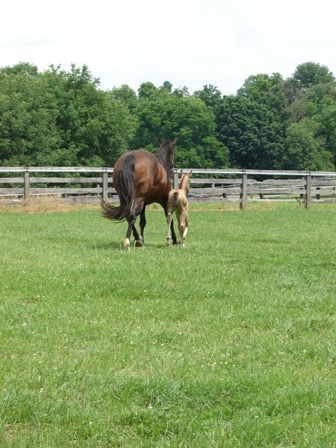 Salt blocks are provided in all paddocks. Horse seldom have halters on when turned out or when in stalls. 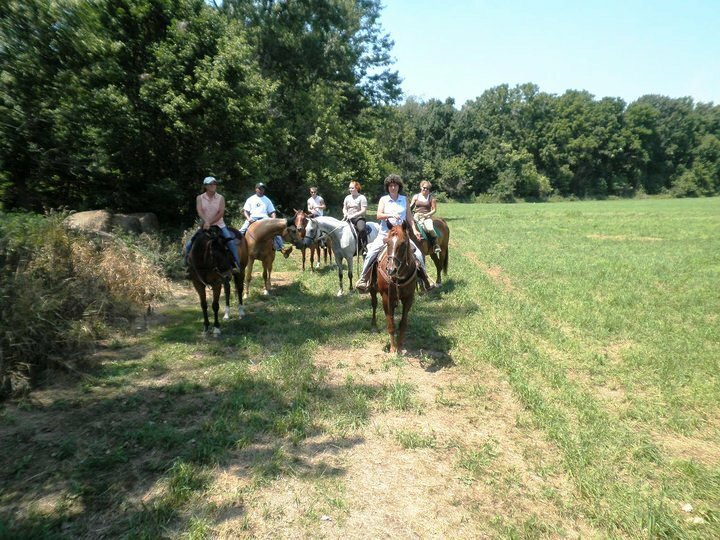 We trail ride all year around. 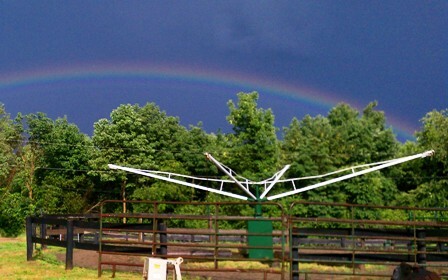 Wonderful place to work your horses or exercise horses. We use this all year around. Grained 2x per day or as needed for your horse. Quantity based on your horses needs. 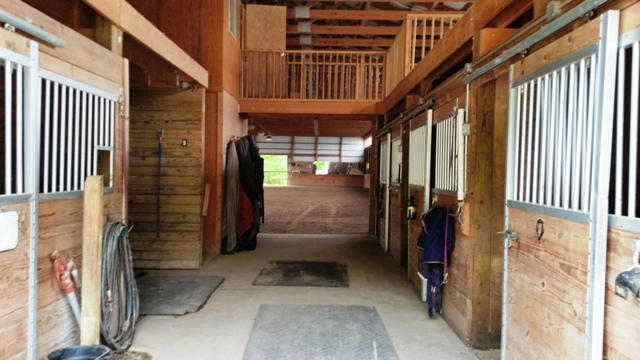 We offer convenient easy access to your tack. 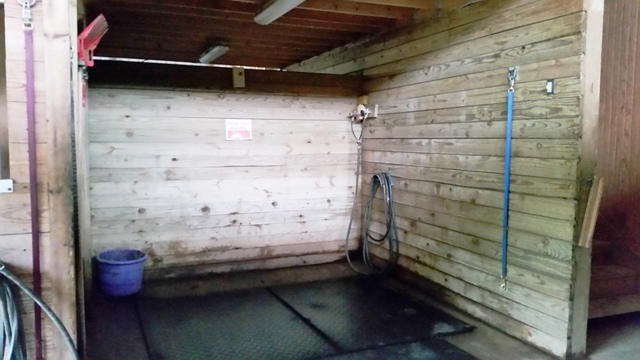 We have 3 tack rooms with saddle racks and bridle racks. We provide a refrigerator, microwave for your convenience. Grained 2x per day. Quantity based on your horses needs. Quality hay provided 3 times a day. Veterinary charges are billed direct to owner by your vet. Please click to view rules.